Recycling Technologies, on behalf of the project’s partners, has announced the publication of the results of Project Lodestar, a significant piece of research into future recycling models. The research shows the potential for waste site operators to recycle ‘all plastics’ by combining state-of-the-art mechanical and feedstock recycling in an advanced Plastics Reprocessing Facility (aPRF). Lodestar is a Pioneer Project initiated and run by participant organisations of the Ellen MacArthur Foundation’s New Plastics Economy initiative. Project Lodestar was led by Recycling Technologies, joining forces with leading global stakeholders, including petrochemical companies and consumer brand companies. 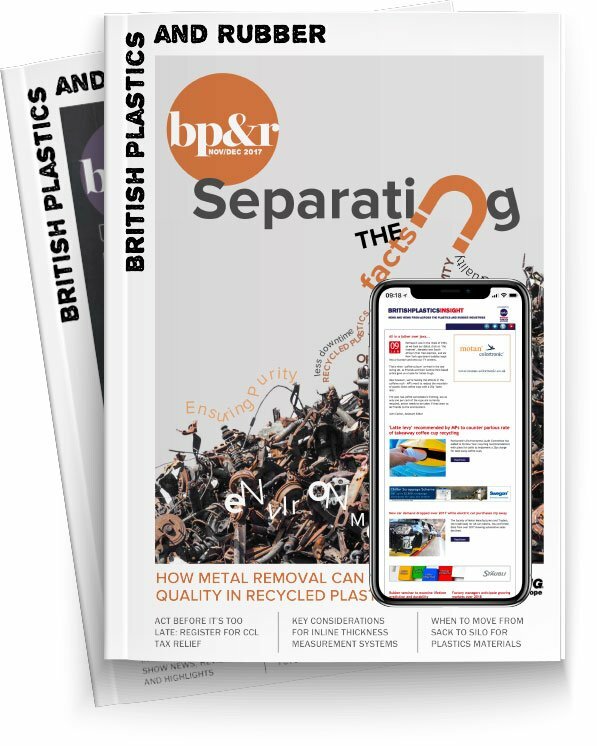 Partners from across the plastic value chain collaborated on researching and designing a blue-print for an advanced Plastics Reprocessing Facility utilising mechanical and feedstock recycling in a single combined facility. The participant group consisted of representatives from Borealis, Coca-Cola, EcoldeaM, ExcelRise, Danone, Impact Solutions, Mars, NexTek, The Canadian Stewardship Services Alliance, NatureWorks, Re-Poly, Swire Beverages, Recycling Technologies, Unilever and Zero Waste Scotland. The Scottish and UK Government announced on 22 November 2018 a £300m investment in the Tay Cities region, which included a commitment to invest up to £5.2m following agreement on a robust business case, to support the development of a two-phase project to build the world’s first aPRF in the Tay Cities Region. Phase 1 will be the development of the world’s first demonstration aPRF (project Beacon), a major integrated waste facility in Tayside, and Phase 2 will be the development of a next generation advanced plastic sorting facility as a global blueprint for best in class recycling to recycle 90 percent+ of all household plastics. Using commercial market prices and published waste data from Scotland, Lodestar modelled an aPRF where residual plastic waste rejects from advanced mechanical recycling are sent to innovative feedstock recycling and diverted from incineration, increasing significantly plastic recycling rates. The feedstock recycling converts the residual plastic waste into an oil suitable to remanufacture into plastic or other chemical feedstocks, allowing plastics to be kept in the circular economy. Significantly, the research found that, compared to mechanical recycling alone, an aPRF has the potential to increase waste operators’ revenue by 25 percent and improve the payback on investment in the facility’s equipment by 11 percent. This level of performance could be further enhanced by improving packaging design and the elimination of PVC in packaging. Finally, for residential households and local authorities, the research highlighted how the volume of plastics collected can be increased by making collection systems more convenient and allowing residents to put all their waste plastics into one bin. “The Lodestar project shows the commercial and environmental value of combining state-of-the-art mechanical and feedstock recycling. It shows waste plastic has significant commercial and citizenship value for recycling companies, local government and packaging companies,” explained Adrian Griffiths, Chief Executive of Recycling Technologies. The results from Lodestar are helping to guide and develop Project Beacon, in Scotland, working with Zero Waste Scotland (ZWS), the Scottish Government’s delivery body on resource efficiency. In its initial phase, Project Beacon is combining Recycling Technologies’ first commercial RT7000 plant with mechanical processing for large rigids provided by Pi-Polymers. Planning permission has been granted for the initial phase at Binn Ecopark in Perthshire.